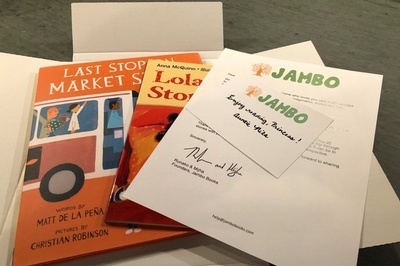 Enter your email address below to receive a notification when Jambo Book Club starts accepting new sign-ups! 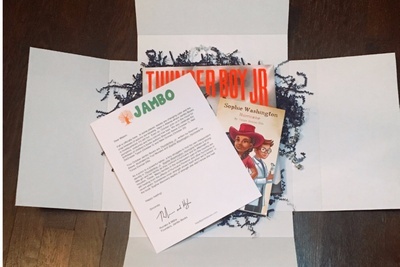 Enter your email address below to receive a notification when Jambo Book Club is accepting new sign-ups again. Your box will ship by the 10th of every month. Orders placed in month 1, will ship in month 2. For instance, if you place an order on or before January 30th, your first box will ship by Feb. 10th. 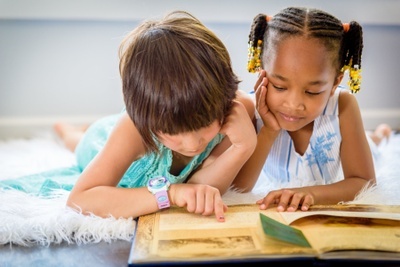 Jambo Book Club is a multicultural book club for children. Jambo sends your child two books each month that feature a child of color as the star. 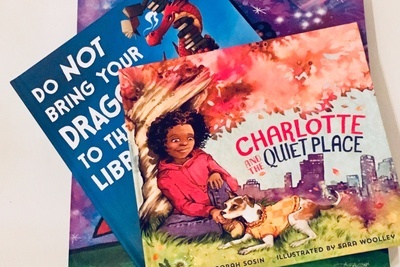 These books are inclusive of our modern communities and are sure to engage your children's imaginations. 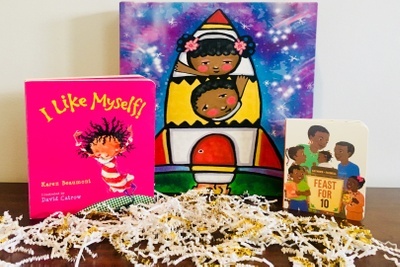 Jambo Books makes a great gift for any of the children in your life! 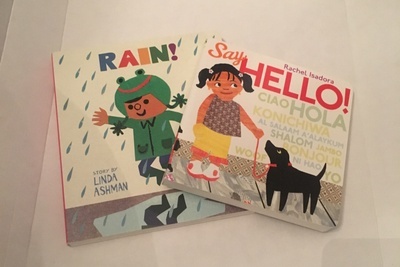 Highly recommend - expertly curated, it’s like hitting the easy button for great literature for our little one. 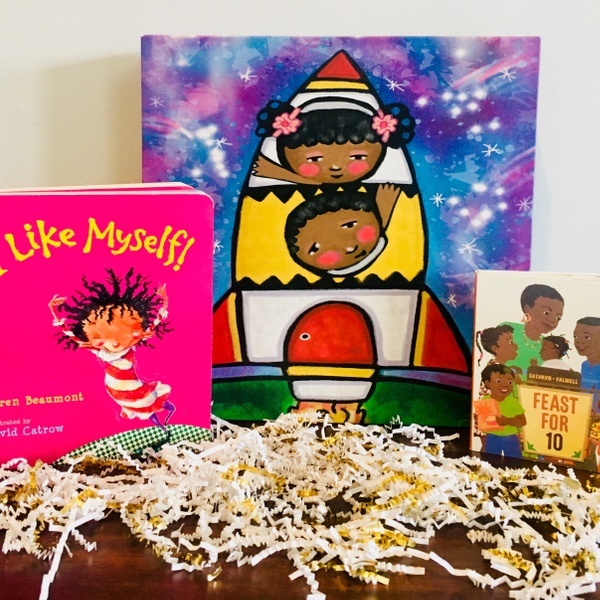 The books have become fast favourites, and we have loved the content - great illustrations, stories and messaging for kids. I got a Jambo subscription for my now 2-year-old nephew when he was an infant. 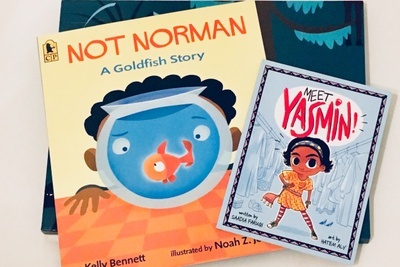 It was a great way to build his library with stories that engage his curiosity and are age-appropriate. 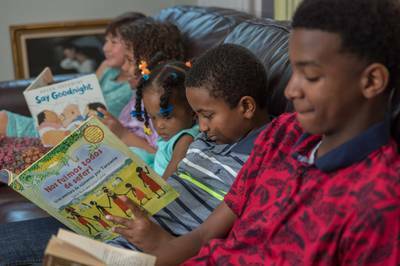 Several of the Jambo books have become favorites, the tried-and-true old faithfuls that he drags out every night. It's also been a fun way to build our long-distance relationship since he gets reminded every month that his aunt sent him a gift! My cousin is having a baby this month and I've gotten her baby a Jambo subscription too. 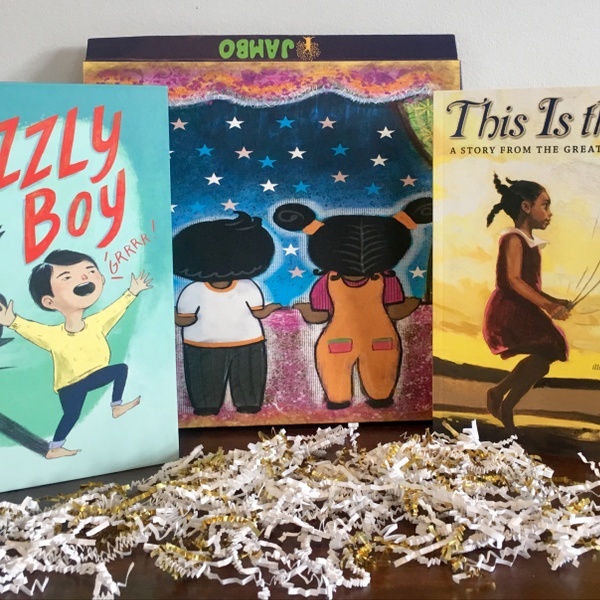 It's my favorite way to welcome littles into the world. I've ordered both the year long subscription and the special three month subscription for two special girls in my life. 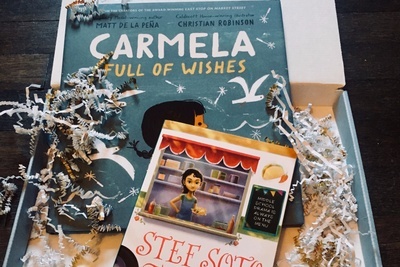 This gift exceeded all of my and the recipients' expectations! 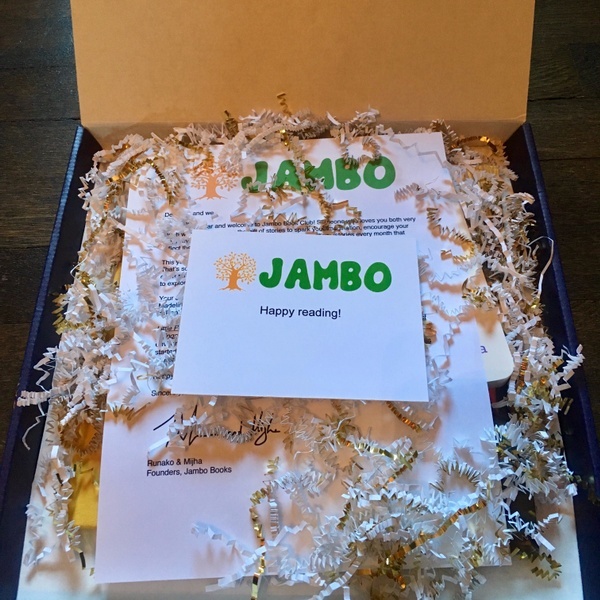 Everything from the customized letter to the child, to the beautiful packaging, and to the thoughtfully curated selections so very much emphasized the love and care that the Jambo Team puts into every brilliant package. Thank you, thank you, thank you! 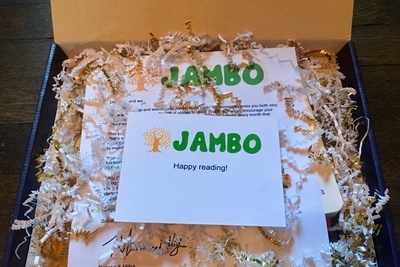 Jambo boxes come with personalized letters to subscribers. 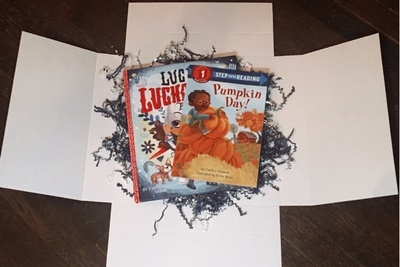 You can also include a personalized gift card to the young reader in your life. 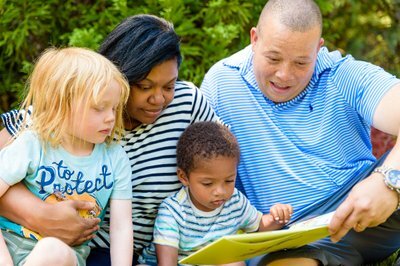 Our 0-2 year olds receive books that keep them excited about reading. All books arrive in JambArt boxes designed by professional artists.